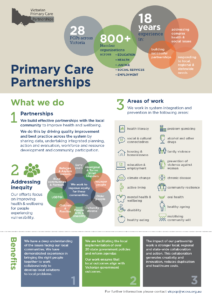 Primary Care Partnerships (PCPs) work with health and community services to support them to collaborate for improved community health and wellbeing. 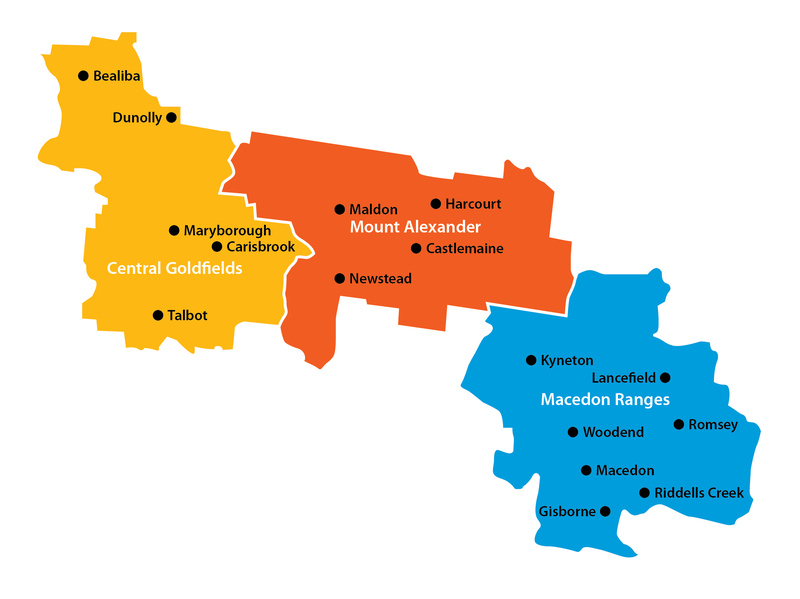 There are 28 PCPs state-wide, funded by the state government since 2001 to improve access to services and continuity of care for people through improved service coordination, integrated health promotion, and partnership development. 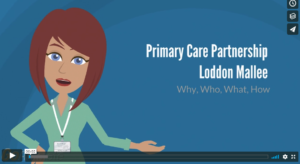 The Central Victorian PCP is supported by a small staff working across the domains of partnership, prevention and early intervention and integrated care. Our work can only progress through strong partnerships. Relationships are dynamic and therefore partnership development, maintenance and strengthening between organisations are integral to our work. We work at a system level to facilitate service system improvement; we do not provide consumer services. Although our desire is to improve the health and wellbeing of all community members, our capacity necessitates that we focus on vulnerable populations, with complex problems and with issues that are the priorities of our partner groups. That said, supporting organisations in partnership and strengthening their service system will benefit our communities more widely. Established by the Victorian Government, CVPCP is one of 28 primary care partnerships throughout Victoria.